This past summer I found cirques to be one of the more visually outstanding and impressive features. 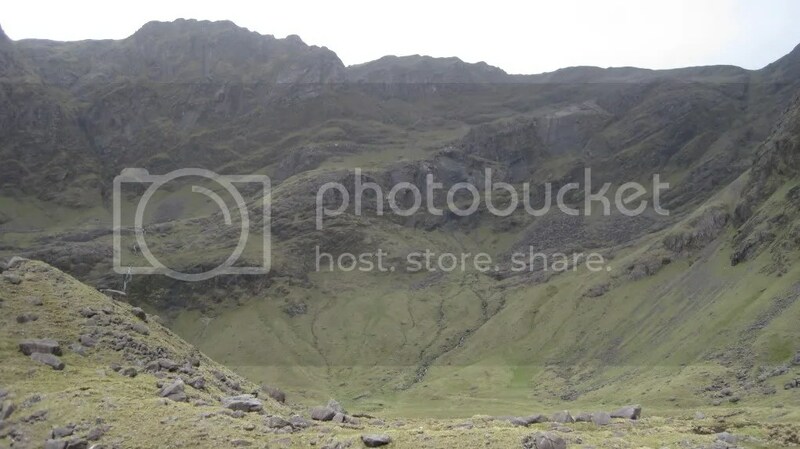 The appealing visual aspect may have to do with the propensity of cirques to be found in mountaintop scenery, or maybe even their juxtaposition of inward depressions next to jagged peaks. At the same time, it is hard to see one and not consider their geologic significance. 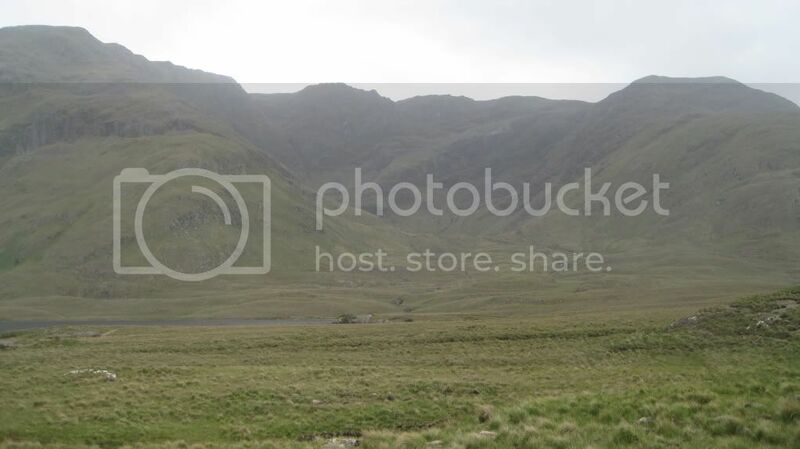 As with many of my recent adventures and subsequent blog entries, my first known encounter with this particular glacial feature was in Ireland along the western coast, though not the coastline itself. Our glacial project found us in the middle of Big Daddy Cirque near the waters of Doo Lough in county Clare; a beautiful piece of countryside with an unfortunate and sad history. The magnitude of the location resonated with me enough so that I found myself actively searching them out along the hike through the Alps, where there were plenty more to take in. Like I mentioned above, cirques are glacial features found in alpine settings and often near the mountaintop itself. The feature is an eroded out, bowl-shaped area that was the birthplace of an alpine glacier. As moisture travels over the mountain, if cold enough, snow will collect on the more shaded side and sit. As long as more snow accumulates than melts it begins to compact from the pressure forming into ice, and eventually a glacier. Cirque glaciers are constrained in their boundaries which are defined or restricted by the topography. Therefore as the snow collects and compresses the ice pushes back into the mountain creating an amphitheater type feature. 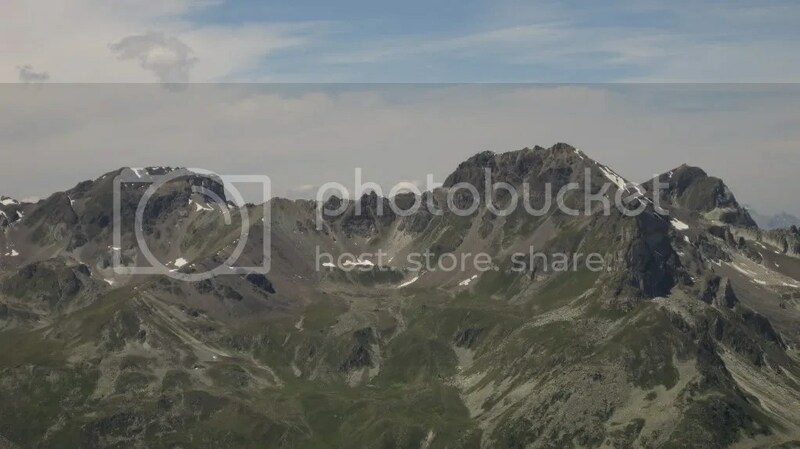 Below is a picture of Big Daddy Cirque taken from the lip of the cirque, and another taken from afar. In the close up photo the curved walls and flat bottom are apparent from where the rounded glacier sat. In the second photo the scope of the feature is revealed and the overall “bowl” shape is more noticeable. 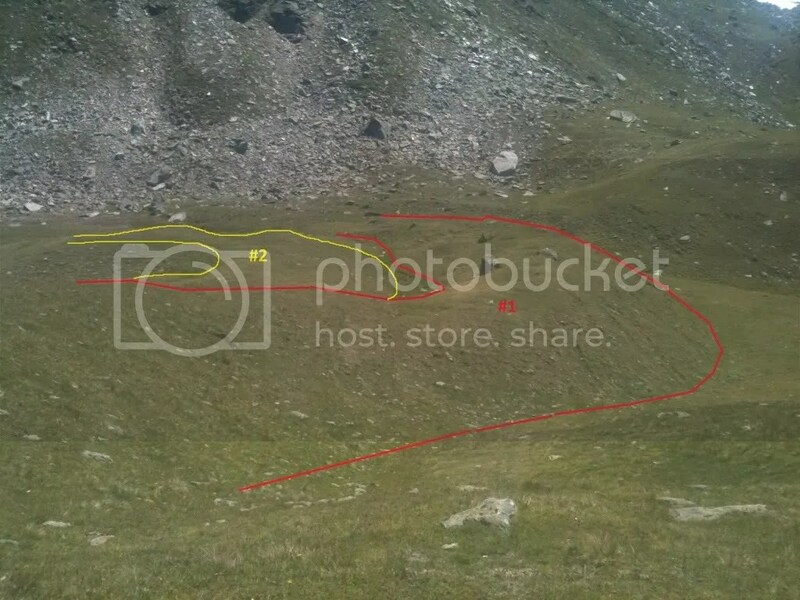 Here is an annotated version of the second photo highlighting the lip and top of the cirque. 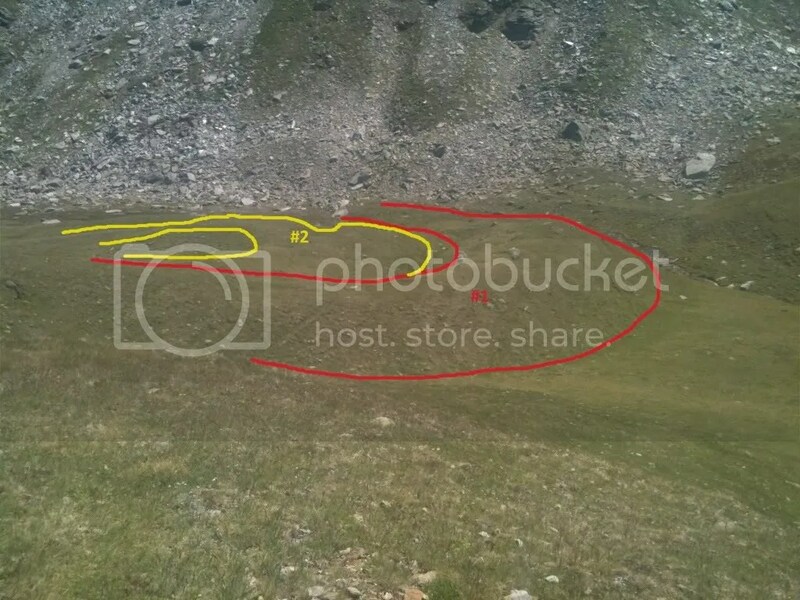 The blue X marks where the first photo was taken, and the red arrow points “inward” towards the center of the cirque. Cirques were formed as erosional features as the alpine glacier propagated from the center and dug into the mountainside carving out a rounded surface. The conventional thought was that movement of the glacier was from sliding and rotating in the recessional surfaces of the mountain. But, in a paper published in the October 2010 issue of the American Journal of Science, a team of glaciologists suggest that internal shear of the ice is the driving factor behind propagation, and the rotation is also a result of internal deformation. Basal sliding from base meltwater does occur, though, only at a minimum. The annotations are a little hard to see so feel free to follow the link to a larger image. Thanks. Moisture travels over the mountain and collects as snow and ice on the shaded side of the mountain. As long as the rate of accumulation of snow is greater than the rate at which it melts (ablation zone) then the snow will compact under pressure to form a glacier. The glacier erodes away at the mountain creating the amphitheater shape depression. Deviatoric stress from pressure is the driving force that propagates the glacier further down the slope out from the center, and the glacier continues to erode the landscape. While cirques are significant for being the starting point of glacial expansion, they are just as significant for being the last gasp of glacial retreat. Just as the glacier propagates outward from the cirque, as the glacier melts it regresses back to the same spot before melting away. Evidence for this retreat is seen in features like recessional moraines. So, looking at the cirques above we can appreciate the handy work of a glacier that used to be. Sanders, J.W., Cuffey, K.M., MacGregor, K.R., Kavanaugh, J.L., and Dow, C.F., 2010. Dynamics of an Alpine Cirque Glacier. American Journal of Science, v. 310, pp. 753 – 773. After another one of my trademark hiatuses, I am now back and hopefully more composed, motivated and ready to post with more frequency. Forgoing anymore excuse ridden sentences let’s jump right into the geology. It’s time for the next installment of “Do You See What I See?”. This time I’ll give you two pictures two consider; both of the same feature but taken at slightly different angles. Careful though, this is not going to be hard rock geology (big hint). This feature was found at high elevations in the Alps Mountains while I was traversing this past July. My friends and I had just hit the summit and were now on the arduous decent into town miles and thousands of meters in elevation away. Where this picture was taken though was along a relatively nice and flat portion of the trail (another big hint). What we stumbled upon here were a couple of recessional moraines created by sediment accumulation at the edge of a preexisting glacier. Here are some annotated pictures to help visualize. The numbers on the moraines dictate the order in which they were deposited. The name moraine actually originated in the Alps to describe ridges of debris found at the edge of glaciers. As the glacier that was previously here retreated during melting, the sediments within the glacier were transported and dumped along the terminal edge from meltwater within the ice. These sediments, described generically as till, are various in grain size and if the moraine was cut open it would be seen that the sediments are unstratified. There are a few types of moraines that also include terminal and lateral. All moraines are found along the edges, but the different varieties describe where or when they were deposited there. Lateral moraines are found along the lateral edges of the glacier since debris flows there as well. Terminal moraines are found along the downstream edge like recessional moraines, but are deposited on the front of advancing glaciers. Because of the advancing glacier the terminal moraines are often eroded away by the very feature that put them there in the first place. If you had stood where this picture was taken and looked back towards the summit you would see that the trail takes you down through a large cirque where the depositing glacier originated.